Defining — and especially redefining — leadership is a popular activity for people engaged in the study of organizational efficiency. Why are so many concerned about the words they use to describe leadership? Is it that difficult to define? You may be surprised by my definition of leadership. Bennis certainly has the right credentials for writing and teaching about leadership. I have the utmost respect for him because he knew about leaders and leadership through real-life experience. He knew what leadership is and seldom wandered away from the real issues involved in defining leadership. How many of the so-called leaders in any organization have the ability to clearly and simply translate an intention or vision into reality? How many even have a vision for what could be? How many can execute or sustain their vision? 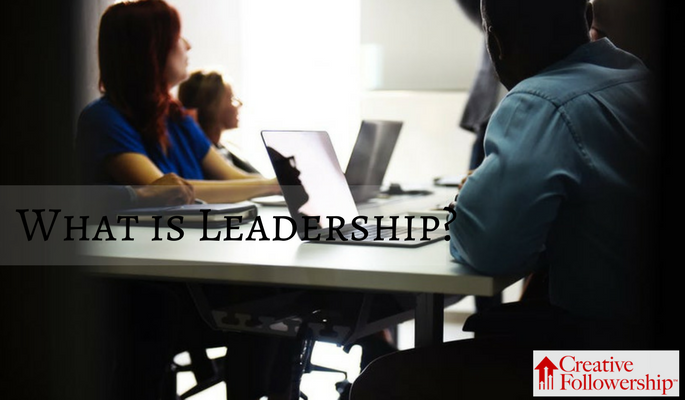 Most of those we call leaders today are not leaders at all but team coordinators, schedule supervisors, production managers, authority administrators, and title-holders. Knowing authentic leadership when we see it is not the same as defining leadership. There is one definition of a leader. If there are no followers, there is no leader. A person may have subordinates, workers, admirers, associates, co-workers, friends, and people who report to him or her, a person may have authority over other people, a person may hold an elective office, and a person may influence a large number of people, but that does not make that person a leader if there are no followers. Only those who have chosen a leader are followers. A person may be assigned to a position, accept the supervision of another person, accept a role in a structured organization, and be submissive to a person of authority, but that does not make that person a follower if he or she has not chosen a leader. What attracts followers to the leader? What holds the followers and leader together? The unifying purpose joins the leader and follower together. A follower is attracted to the leader because the leader possesses a vision, a purpose, a cause, or a goal that captivates the interest of the follower. This is what I call the unifying purpose. The leader must be able to communicate the unifying purpose in a way that is inspirational, persuasive and motivating to the follower. The unifying purpose is the basis of the relationship between the leader and follower. It is the magnetism that attracts and the glue that holds the follower to the leader. Through this process, the leader’s purpose becomes the follower’s purpose and unifies them together. Thus, the leader with the support of the followers can translate his or her vision into reality and sustain it. Without the unifying purpose, there is no leader and follower relationship. A leader is someone who has followers.